I don’t know what I think about the BDS movement (Boycott, Divestment and Sanctions) against Israel. On the one hand, Israel’s occupation of the West Bank and its treatment of Gaza are clearly wrong. On the other hand, I don’t like to see citizens, who have little power, held to account for the doings of their governments, all of which are fairly reprehensible, including our own. Does a campaign to ban Israeli-made hummus from the Park Slope Food Coop really forward any cause except self-righteousness? I was even more turned off by incidents like the picketing of the Jerusalem Quartet in Toronto and London and the collapse of a projected anthology of writing by Middle Eastern women because the publisher, University of Texas Press, refused to accede to demands by some contributors that the two Israeli invitees be excluded. Still, whatever one thinks of BDS, there is surely nothing wrong with Brooklyn College’s political science department hosting a panel about it consisting of two BDS supporters, philosopher Judith Butler and BDS organizer Omar Barghouti. 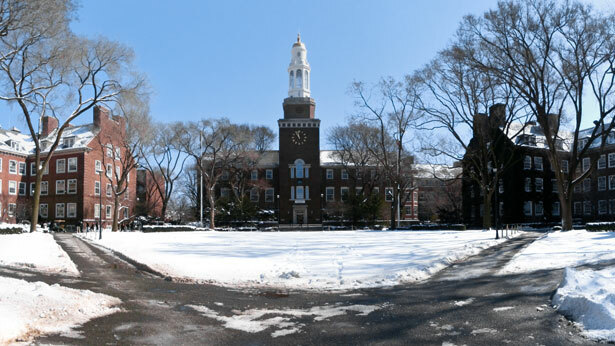 Attacked by Alan Dershowitz and many others, Brooklyn College President Karen Gould has stood admirably firm in her defense of academic freedom, but now a wide array of New York politicians are up in arms. I was sorry to see that my own City Council representative Gale Brewer has signed a letter from Lew Fidler, assistant majority leader of the New York City Council, threatening to withhold funds to the College and to CUNY if it went on as scheduled. Really, council members, you would impoverish these already threadbare city institutions because you disapprove of a panel? Haven’t we been here before, with Mayor Giuliani, who threatened to unleash hellfire on the Brooklyn Museum for showing a picture he felt disrespected the Virgin Mary? Another letter, this one from local “progressive elected officials and leaders,” calls for the political science department to “withdraw its endorsement of this event rather than send the message to its students and to the world that the divisive perspective offered by the organizing groups is Brooklyn College’s official view. In addition, we ask that you remain vigilant in ensuring that events bearing the official imprimatur of the College provide adequate opportunity for diverse perspectives to be heard. We believe that this is the very hallmark of academic freedom.” It’s signed by a long list of Democrats, including members of Congress Jerrold Nadler, Nydia Velasquez, Yvette Clark and Hakeem Jeffries, as well as all four Dems considering a run for mayor: Christine Quinn, Bill de Blasio, John Liu and Bill Thompson. Why do I think their position has more to do with election math than about their fears for the lofty mission of Brooklyn College? Dear “progressive elected officials and leaders,” I have spoken on dozens of panels at assorted campuses round the land. Sometimes these were politically mixed events and sometimes all the speakers shared a common perspective. Sometimes it was even just me up there! What is wrong with that? Surely you don’t think the school should arrange for someone from the Eagle Forum to share the platform with me when I speak about feminism, or bring on a priest and a rabbi to put in a word for God when I speak about atheism? On every campus, dozens of panels and lectures take place every week, hosted by student groups, academic departments and programs, endowed lecture series and so on. If over the course of a year every side gets its turn, why isn’t that good enough? I’m busy on Thursday, as it happens, but I would like to hear what Butler and Barghouti have to say about BDS, just as I would like to hear what its opponents have to say. President Gould has issued a letter saying that in the next two months the college will host events featuring opposing views. That’s the right way to handle this controversy. The wrong way is for politicians, progressive or not, to set themselves up as micro-managers of campus programming, backed up by threats of financial punishment to an institution that can ill afford the loss. Isn’t that a kind of mirror of BDS itself?